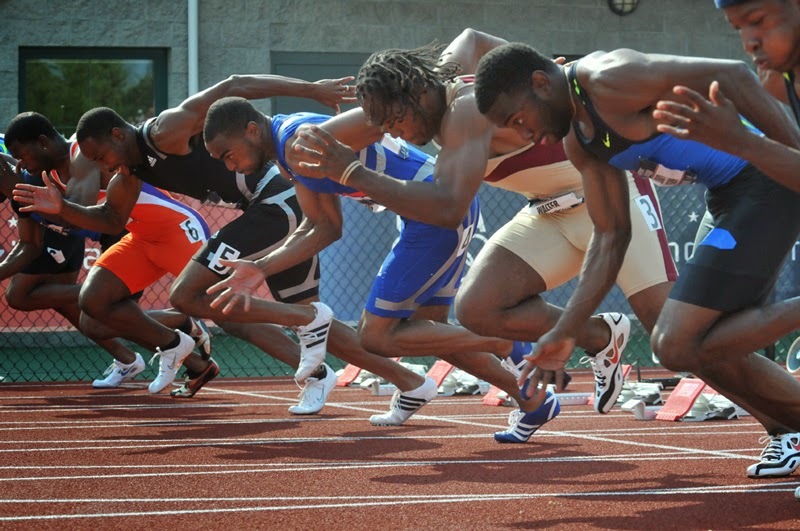 The USA Track And Field Championships brings the best athletes to Sacramento for a five day meet. This is the final stop of the 5 meet Championship Series that began with the Penn Relays in April. The meet begins today with Shot Put on the State Capitol grounds. Shot Put will be going on all day with the men's finals beginning at 6:15pm. The remaining 4 days of competitions will be held at Sacramento State University's Hornet Stadium. Hornet Stadium was the site of the 2004 Olympic Trials. The stadium has been improved since that time with a new scoreboard and a resurfaced track and infield. Athletes competing at this meet are among the very best. The qualifying standard for the women's 5K is 15:26 and 32:58 for the 10K. The men's standard for the 5K is 13:32 and 28:30 for the 10K. See the USA Track and Field website for a complete schedule of events. Ticket prices start at $15 dollars for one-day general admission. It gets hot in the unshaded bleacher seating. Temperatures are expected to be near 100 over the weekend. NBC Sports Network will air selected events on Friday, Saturday, and Sunday. Related: There will be a Historical Landmark ceremony for the 1968 Track and Field Trials venue on Echo Summit, Friday June 27, 2014.